Since the EU's REACH Regulation came into force in 2007, vast quantities of information have been disseminated to help explain it. Even so, many companies are still, to varying degrees, unaware of how the Regulation actually works and how it will affect them. Some believe that the whole process came to an end on 31 May 2018, when the last of three volume-based registration deadlines passed. This is not correct: obligations continue indefinitely. ‘Downstream users’, as the Regulation defines them, did not have any registration requirements but they do have important obligations in communicating information about the use of chemicals back up the supply chain. 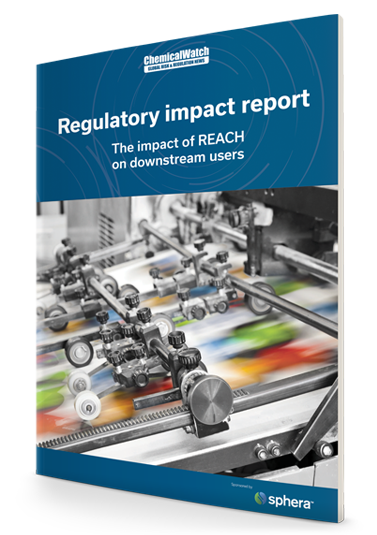 This Regulatory Impact Report aims to help companies using chemicals within the purview of REACH to understand the basics of this complex and novel regulation, as well as their roles and compliance obligations, and what to watch out for. The report includes an introduction, a deeper dive into safe use obligations and authorisation provisions, some top tips and definitions of the law’s key terms, responsibilities and some statistics. There are also links to key sources of additional information. Top tips for REACH compliance. 2018 is not the end of REACH, or even the beginning of the end, only the end of the beginning. REACH has important implications for those who use chemicals – just about every large manufacturing industry, in other words.